Micro, small, and medium enterprises (MSMEs) have emerged as a highly vibrant and dynamic sector of the Indian economy over the years. MSMEs not only play a crucial role in providing large employment opportunities, at comparatively lower capital cost than large industries, but also help in the industrialization of rural and backward areas, thereby reducing regional imbalances and assuring more equitable distribution of national income and wealth. MSMEs are complementary to large industries as ancillary units and contribute enormously to the socio-economic development of India. The sector is significant to the manufacturing output, employment, and exports of the country. However, MSMEs face a number of problems which have resulted in their retarded growth. Inadequate working capital, a shortage of trained personnel, and obsolete technology are the major barriers to the growth of MSMEs in India. 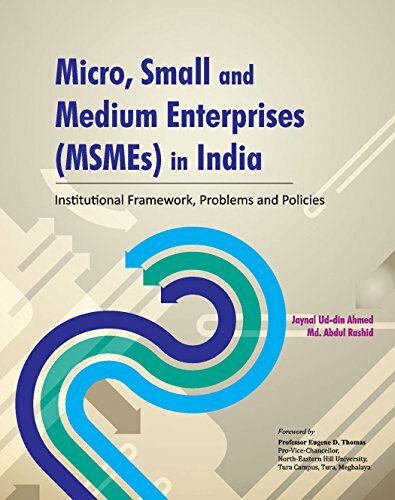 This present volume provides an exhaustive analytical account of the functioning of MSMEs in India. It discusses their role in the country's economy, policies, and programs of the government to promote them, and the problems faced by them in the context of globalization and liberalization of world economies.